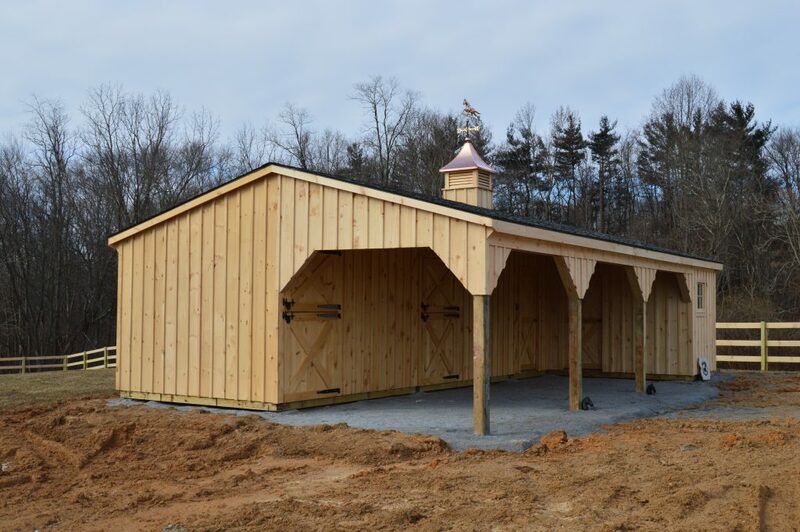 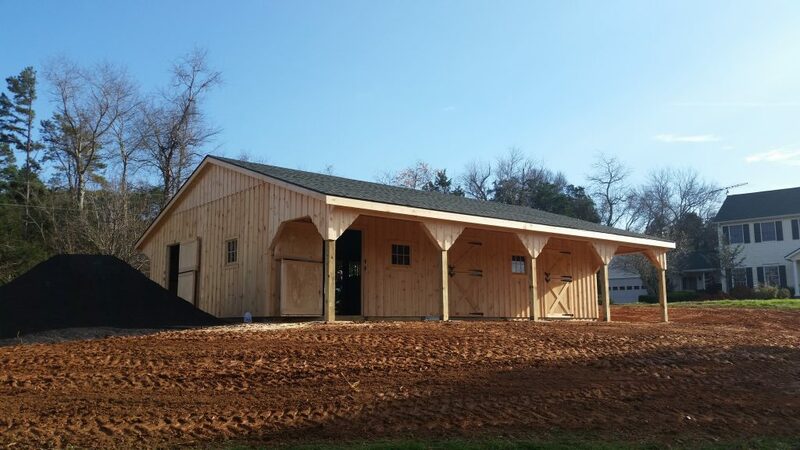 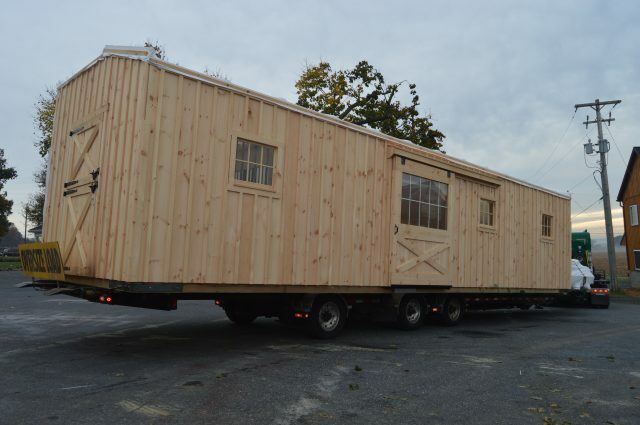 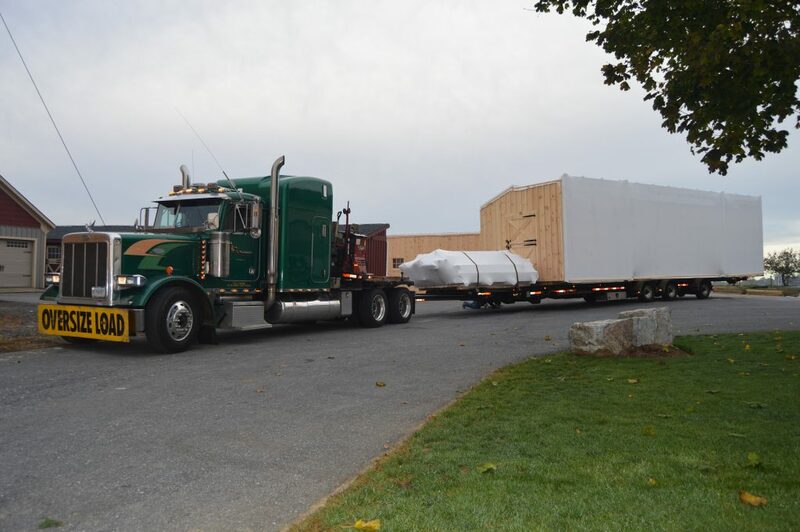 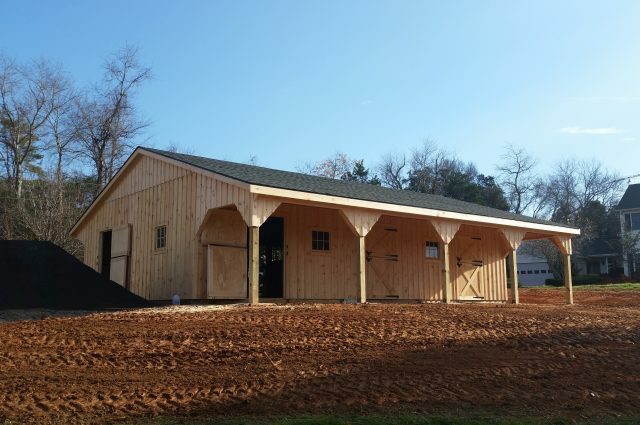 Our 24’x40′ barn with 3′ overhang and 8′ lean-to’s was build to last in Rixeyville, Virginia. 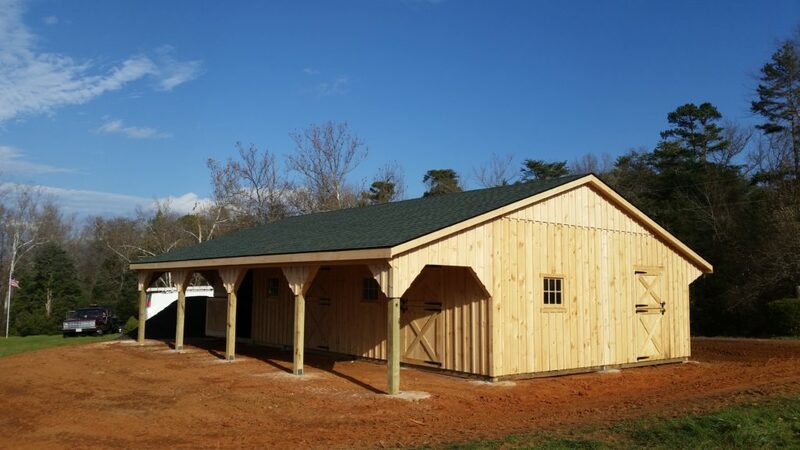 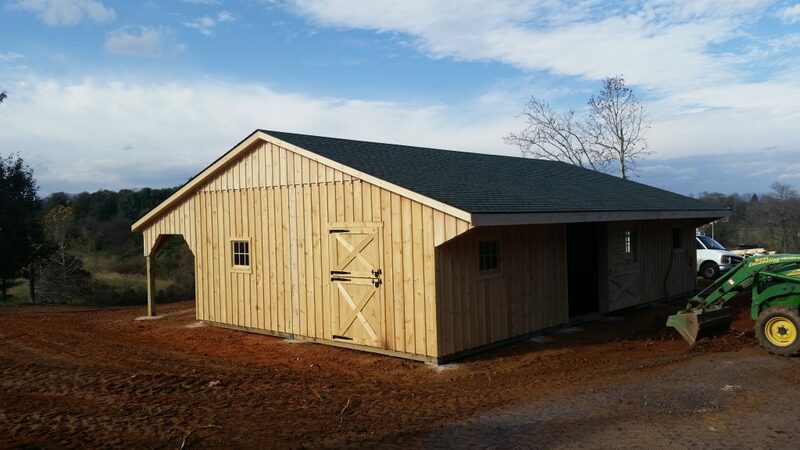 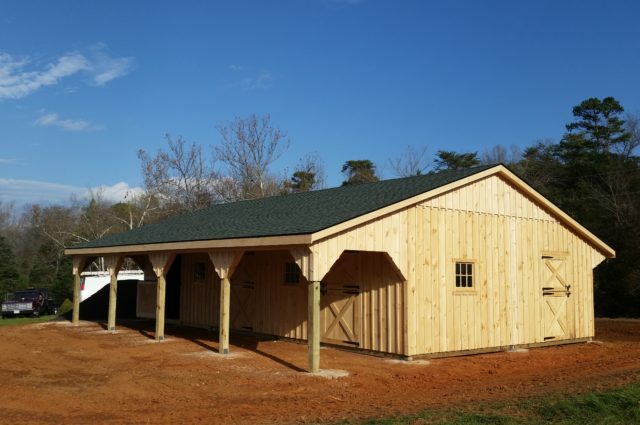 A double wide 4 pitch barn stands firm with a total of four stalls, a convenient tack room, and a spacious aisle way. 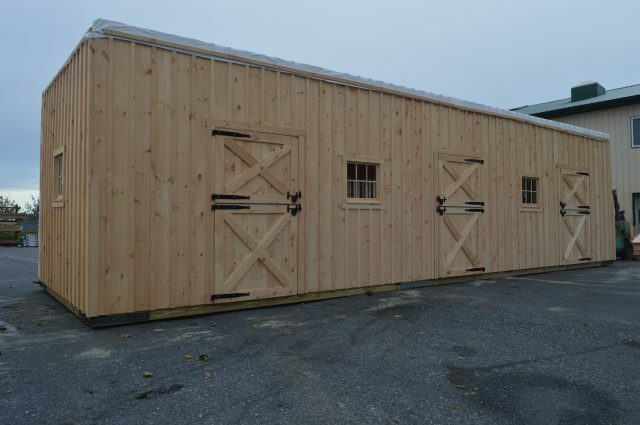 The client also made customized requests such as a 6’x8′ sliding door with a window, multiple dutch door features, and even yokes in the stall doors. 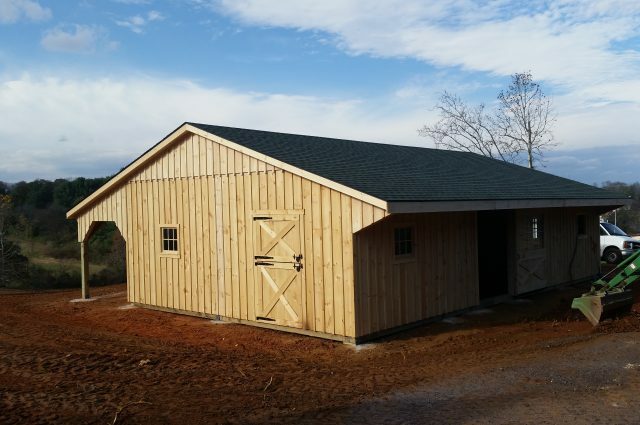 This barn is certainly one that combines style with practicality.